Want to know what it's like to retire in Sarasota? After 12 years of running my own business in Houston Texas and dealing with the crazy traffic​, deadlines, employees etc, I sold it in 2007 and wanted to move to a nice beach town with a great atmosphere and good environment. I had been coming to Sarasota since 1995 over Thanksgiving weekend, and was well aware of what the city had to offer, but still wanted to check out the San Diego area as another option. On the flight back from the West coast of California, there was no doubt in my mind that the West coast of Florida was where I wanted to be. Sarasota was it: brilliant white soft sand beaches, less traffic, not as crowded, smaller, but at the same time big enough to have everything that I would want. The city has ample golf , tennis, boating, fishing, and loads of restaurants, but most of all, the climate is perfect (I do not function well in cold weather). After taking several years off, I decided to get into real estate and focus on helping investors get more return for their money. Fortunately, I am able to accomplish this while still being able to enjoy the lifestyle that I have grown to love. I am now a Realtor at Medway Realty, where my flexible schedule allows me to enjoy all that the city has to offer. So Byron, what about Sarasota initially appealed to you? 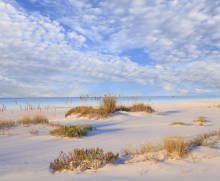 Just driving into the Sarasota area gives you a sense of fun and a feeling of being on vacation. Once you drive past all of the manicured golf courses and head over the bridges to the keys, seeing the beautiful blue water and all of the boaters makes you feel that this is a great place to live. There are beautiful houses and high rise condo's with great amenities. Sarasota itself is well laid out, easy to get around and conveniently has it's own airport, SRQ. When I first started coming here in 1995 there were way less people, stores, traffic lights etc. Sarasota is growing and it is understandable, I think the secret is out of the bag. The middle of summer can get hot and humid, but I lived in Houston for a long time so to me it is not a big deal. If you ever left Sarasota, what would you miss the most? I would miss the fact that I have everything that I enjoy doing so close to me (except snow skiing, I would have to get on a plane for that). As a kid I was always outdoors and playing some type of sport​ and being active. Sarasota affords me the ability to do that, and also enjoy the arts and culture that the city has to offer. If you want it, it is there for the taking. To be honest I never see myself leaving. If I won the lottery, I would probably get a nicer house and a nicer car but I wouldn't go anywhere else. ... check out Byron's day in the life.